Atrophic crinkling rhytids. Atrophic crinkling rhytids are the result of the loss of elasticity in the skin, usually parallel to one another. They can show up almost anywhere on the face and body but may ‘disappear’ when you move your body. Moisturizers can minimize the appearance of these kinds of wrinkles. Permanent elastic creases. These crease lines that may become permanent over time, especially with sun overexposure. They show up often on the cheeks but can also appear on the upper lips and the base of the neck. Use sunscreen when outside and stop unhealthy habits such as smoking. Dynamic expression lines. Wrinkles that are the direct result of facial muscle movement are known as frown or smile lines and crow’s feet. 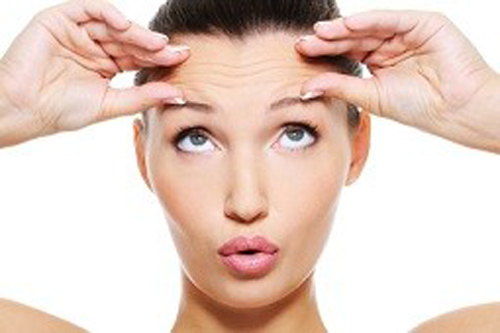 Botox is a type of injectable wrinkle treatment that these types of wrinkles are known to respond quite well to. Gravitational fold lines. As gravity and time takes its toll on the human skin, it begins to fold and sag. It’s been theorized by researchers that having a plumper face can help minimize gravitational folds compared to that of a lean face. Face lifts and other types of cosmetic surgery are the only options as far as this type of wrinkles goes. If you’re interested in learning more about wrinkles, contact Dr. Larry Lieberman, DDS at 727-785-8017 to schedule a consultation today. Or visit www.dentist-lieberman.com for additional information. This entry was posted in Botox and Facial Fillers, Cosmetic Dentistry, Facial Rejuvenation, General Dentistry and tagged Botox, Cosmetic Dentistry, creases, crow's feet, dental care, dental health, dental procedures, Dr. Larry Lieberman DDS, Dr. Lieberman, elasticity, facial fillers, facial rejuvenation, Facial Rejuvenation- Botox & Facial Fillers, Family Dentist, family dentistry, frown lines, general dentistry, laugh line, Oral Care, Oral Health, Palm Harbor Dentist, Palm Harbor FL, preventative care, preventative dentistry, Restorative Dentist, Restorative Dentistry, skin, skin elasticity, wrinkle prevention, Wrinkles on December 15, 2018 by admin. Botox injections is the best known among a group of drugs using various forms of botulinum toxin, a toxin that’s produced by the same microbe that causes botulism, a type of food poisoning. It’s used in treating all sorts of condition in the medical field because of the temporary paralysis of muscle activity, making it very useful for things like as cervical dystonia or repetitive neck spasms, excessive sweating and overactive bladder. Though, there are also cases where Botox was used in treating crossed eyes, as well as chronic migraines. Most prominently, however, Botox is to help make people look younger by reducing the appearance of certain facial wrinkles. Still, you’ll wonder, what does that have to do with Botox earning a place in dentistry? It’s not like teeth have wrinkles, right? Well, not exactly, but our jaws do have muscles and they’re prone to suffering from constant muscle spasms. Conditions such as bruxism, TMJ and others involving facial pain have been proven to benefit from Botox injections, though not all dentists are aware of this. Safe for treating conditions involving facial pain, Botox injections may also prove useful in many other dental cases. In orthodontics, the teeth of patients with strong mentalis muscles are prone reverting back to pre-therapy positions. Not only that, but local anesthesia, which is far more frequently used by dentists, is also a lot more dangerous and have greater potential for complications, as well as negative reactions compared to Botox or dermal fillers. This entry was posted in Botox and Facial Fillers, Cosmetic Dentistry, Facial Rejuvenation, General Dentistry, TMJ and tagged Botox, Botox injections, Cosmetic Dentistry, facial fillers, Facial Rejuvenation- Botox & Facial Fillers, general dentistry, Oral Care, Palm Harbor FL, Restorative Dentistry, Wrinkles on June 22, 2017 by admin. What Are The Different Types of Wrinkles And How Are They Treated? Aging and the things that come with it are inevitable, but there’s plenty that you can do to help to stave off the effects of father time for a few more years. Wrinkles, for example, are signs of aging that you can, or rather, should do something about. According to the researchers at the University Hospital of Liege, Belgium and their published study that’s found in the International Journal of Cosmetic Science back in 2006, there are four distinct types of wrinkles that everyone has to face eventually. Atrophic Crinkling Rhytids – These fine lines are the result of the loss of elasticity in the skin and are usually parallel to one another. They can show up almost anywhere on the face, as well as the body, but may ‘disappear’ when you move your body. Treatment: These wrinkles are the result of loss of elasticity in the skin, or the loss of collagen. To help stave them off for a few more years, be sure to protect your skin by applying sunscreen whenever you go out of the house. Also, you can use moisturizers to make your skin look more plump and minimize the appearance of these kinds of wrinkles. Permanent Elastic Creases – These wrinkles are crease lines that may become permanent over time, especially if you’re always exposed to the sun. Although they show up often on the cheeks, these crease lines may also appear on the upper lips and the base of the neck. Treatment: Minimizing your exposure to the sun and stopping unhealthy habits such as smoking both do wonders in preventing this kind of wrinkling. Also, if you do have to expose yourself to the sun, be sure to use a sunscreen. Dynamic Expression Lines – These are wrinkles that are the direct result of facial muscle movement. These are also better known as frown or smile lines and crow’s feet. Treatment: Botox is a type of injectable wrinkle treatment that these types of wrinkles are known to respond quite well to. Botox injections are available at the dermatologist’s and the dentist’s clinic. Gravitational Folds – As gravity and time takes its toll on the human skin, it begins to fold and sag and that’s when these lines and wrinkles typically occur. It’s been theorized by researchers that having a plumper face can help minimize gravitational folds compared to that of a lean face. Treatment: Face lifts and other types of cosmetic surgery are the only options as far as this type of wrinkles goes. 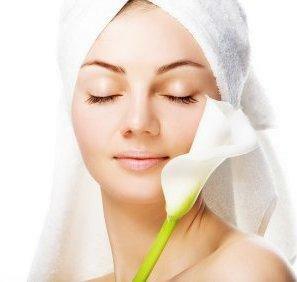 While cosmetic treatment is almost always the best choice, it’s not exactly the cheapest. You can yourself a lot of cash by making sure that you don’t stay out of the sun too long and too often, as well as making sure that you wear sunscreen every time you step out of the house. Also, avoiding habits such as smoking and using cosmetic products, such as moisturizers, can help you in your fight against the effects of father time. Of course, if you can afford them, you can always go for more ‘effective’ and more permanent treatments such as Botox injections and facelifts. If you’re interested in facial rejuvenation and would like to know more, contact Dr. Larry Lieberman, DDS at 727-785-8017. Or visit www.dentist-lieberman.com for additional information regarding facial rejuvenation. This entry was posted in Facial Rejuvenation and tagged Dr. Larry Lieberman DDS, Facial Rejuvenation- Botox & Facial Fillers, Juvederm on May 9, 2016 by admin. Juvederm is a facial filler made of hyaluronic acid, a naturally occurring substance in your skin that helps to add volume and hydration. Juvederm will diminish your wrinkles without anyone knowing you’ve had work done! You’re left with a beautiful youthful appearance. To find out what Juvederm facial filler can do for you call Dr. Larry Lieberman DDS in North Palm Harbor, FL at 727-785-8017. Visit the website at www.dentist-lieberman.com. Accepting patients from Palm Harbor, Clearwater, Oldsmar, Tarpon Springs, Tampa, Eastlake and all surrounding areas. This entry was posted in Facial Rejuvenation and tagged Cosmetic Dentist, Facial Rejuvenation- Botox & Facial Fillers, Juvederm, Palm Harbor FL on December 31, 2013 by admin. Dr. Larry Lieberman of Palm Harbor, FL is proud to offer the Facial Rejuvenation treatments Botox and Juvederm. Achieve a youthful glow without the appearance that you had anything done. Call Dr. Lieberman for your next Facial Rejuvenation treatment at 727-785-8017 or visit the website at www.dentist-lieberman.com. This entry was posted in Facial Rejuvenation and tagged Botox, Facial Rejuvenation- Botox & Facial Fillers, Juvederm, Palm Harbor FL, Wrinkles on October 31, 2013 by admin.